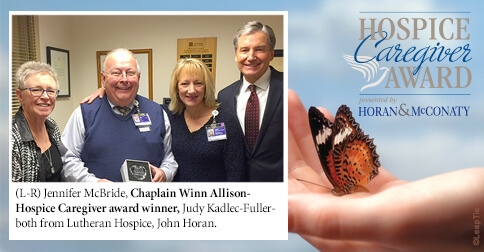 Chaplain Winn Allison is the winner of the Hospice Caregiver Award presented by Horan & McConaty. 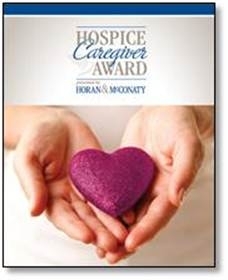 He was nominated by the Lutheran Hospice Team. 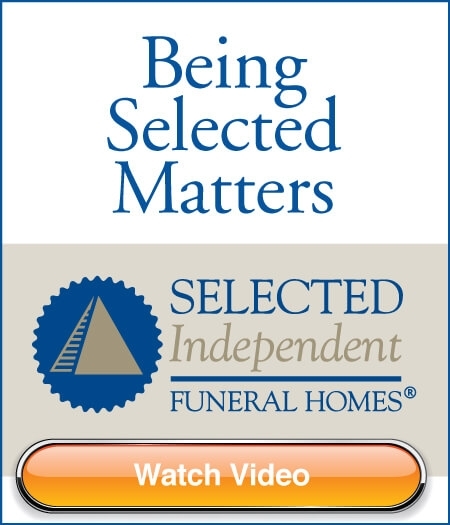 Dean, a hospice patient who had served in the military during the Korean War had only one dying wish; to be buried in his Marine dress uniform. Through the years of multiple moves, the uniform had been lost. The cost of a new one was prohibitive for a family already struggling with the expenses of serious illness. Chaplain Winn Allison reached out to retire vets who were able to purchase a brand new US Marine Corp dress uniform, complete with hat, belt, gloves, brass buttons and medals. During this process Dean’s military record was researched and it was discovered that he had earned two additional medals. These were quickly procured. Dean’s last wish was carried out, and it was better than he had imagined. His family will forever cherish the love and commitment strangers had for one person. 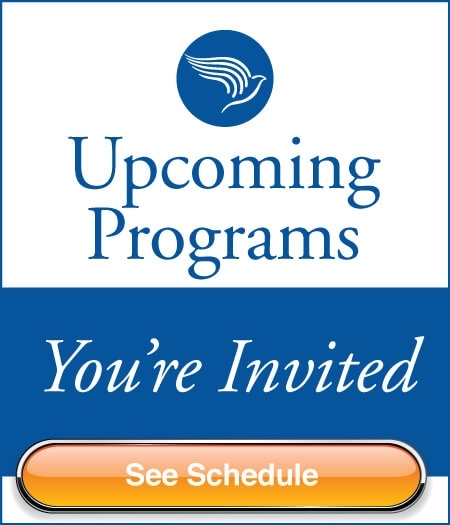 Winn attends monthly gatherings for the development of best practice chaplaincy, quarterly sessions for professional development and annual conferences which focus on mental health, personal spiritual and self-care, leadership and best practice chaplaincy. He reads widely in the area of pastoral and spiritual care, chaplaincy, mental health, addiction, suicide, PTSD and family dynamics. He also takes advantage of monthly webinars made available for LMC chaplains. Winn focuses on the care team as passionately as he does his patients and their families. His “door always open, never too busy for you” attitude invites the team members in for listening, support and validation. 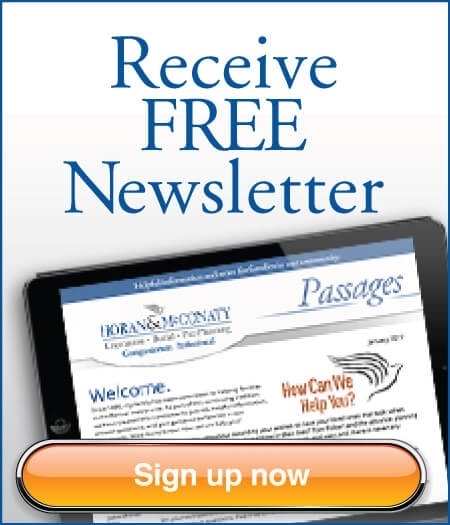 This allows them to replenish their own souls so that they can again and again, provide the expert and genuinely compassionate care they came here to do. Our hospice would not be the same without Winn.